First you start with a very simple gastrique. The more patience you’ll have creating an amazing tasting gastrique, the better the sauce will taste. 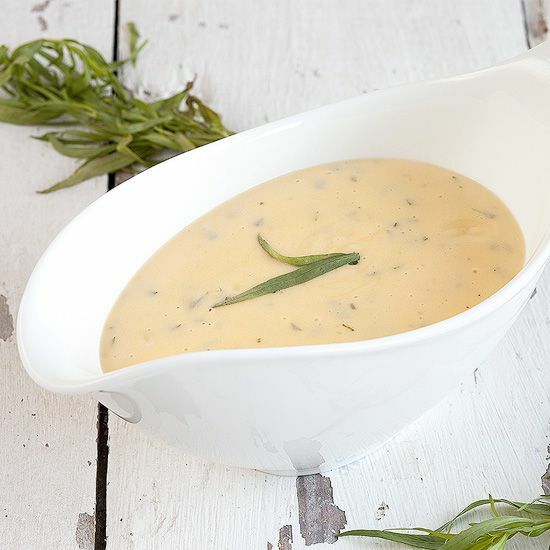 Gastrique basically means a reduction of vinegar or dry white wine with some peppercorns and other seasonings. To make it a little less sour, you can add a little bit of water but that’s not a must. You can also add chopped shallots, bay leaves or parsley stems. 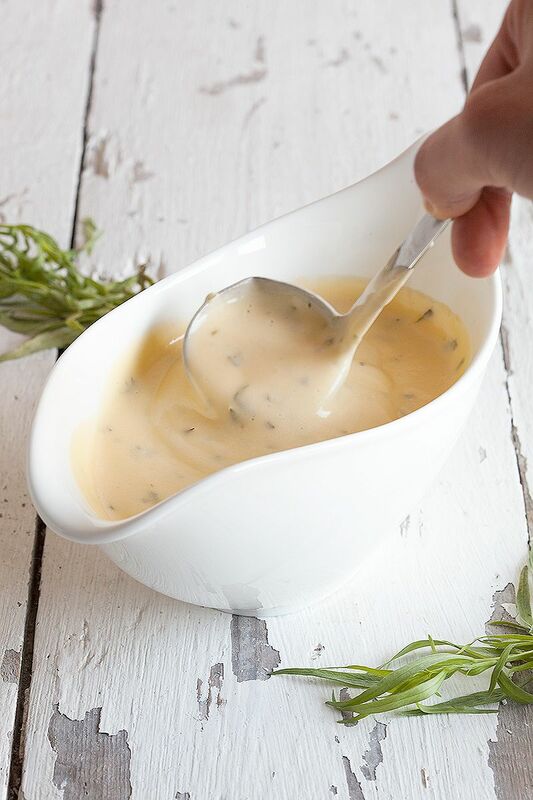 You can easily make a larger amount and freeze the gastrique if you like to make this kind of sauces more often. Freeze them individually in ice cube forms so it’s easy to unfreeze just a little bit at a time. Add the ingredients all together in a small saucepan and let it simmer on low heat. Let it reduce to about 1/3. Sieve the gastrique to get rid off all the seasonings. When the gastrique is ready to use, you’re going to create some clarified butter. Add butter to a small saucepan and let it melt very slowly. You’ll notice some white substance is rising to the top. Skim the foam off using a spoon, repeat until there’s no more white substance. The butter is now clarified and will look nice and clear. Now you can start creating a bain marie. Making a bain marie means you add a small amount of water to a pan, bring it to a boil on medium high heat and place a bowl on top. The bowl shouldn’t touch the water, this way the steam from the boiling water will gently cook the sauce inside the bowl. Add the gastrique together with the yolks in the bowl and start whisking it. Slowly drizzle the clarified butter into the mixture and keep on whisking until a thick sauce appears. When the bowl, and therefor the sauce, is getting too hot, remove the bowl from the heat and keep on whisking. Whatever you do, don’t stop whisking or else the yolks are going to create lumps. Keep on whisking until it becomes a fluffy consistency. 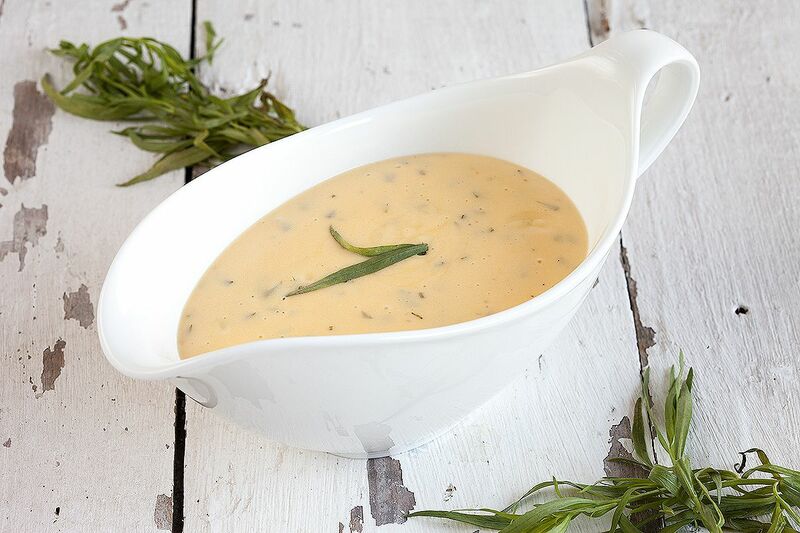 Chop up the fresh tarragon, without stems, and add to the fluffy yellowish sauce. SEASON with pepper and salt. Grill a beautiful steak, or some veggies, and enjoy this just about right ‘sour’ tasting sauce.